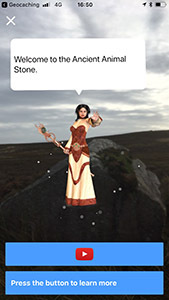 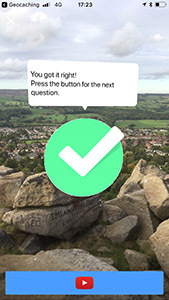 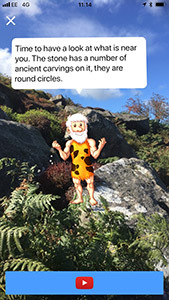 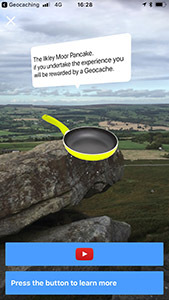 I’d watched the others do the AR cache in Dublin the previous weekend and the technology seemed to work so I though I would come and have a go at the ones on Ilkley Moor. 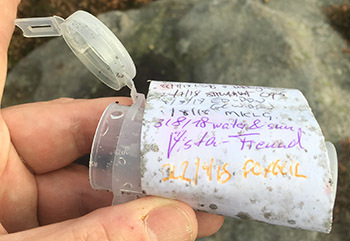 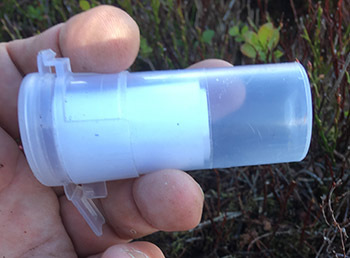 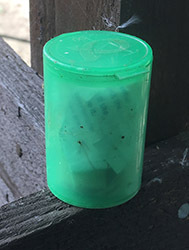 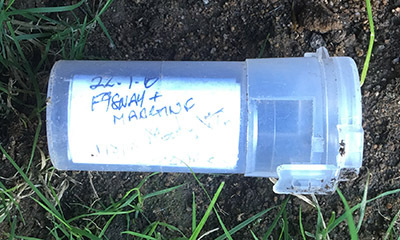 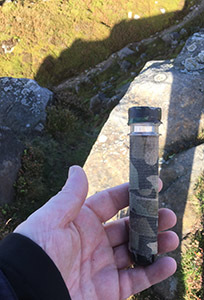 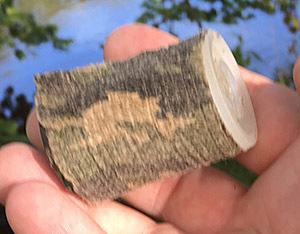 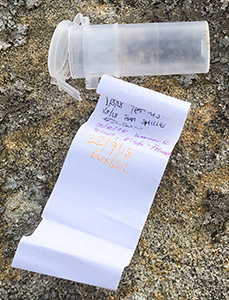 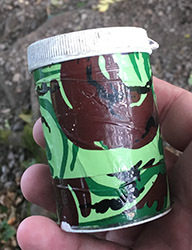 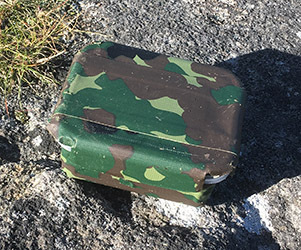 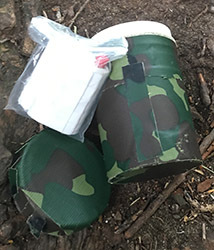 Second of two AR caches found on the Sunday morning… a bit of scrambling around the rocks required, and I may not have picked the best route to get to the cache, bashing my way through head high bracken, but I got there… and got the cache. 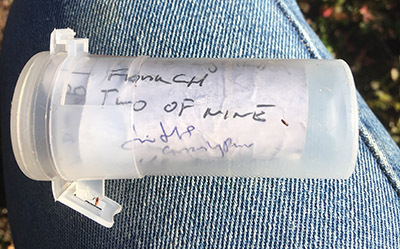 It actually took me more time than it should to find the cache as first I had to work out where a path was to get to the GZ and then the hint covered about 50 places within 10 square yards, in the end I resorted to looking at a photograph a previous finder had posted and from there working out where the person whose arm you could see, who had obviously passed him the cache, was stood… when I got into that location the cache was straightforward to find !